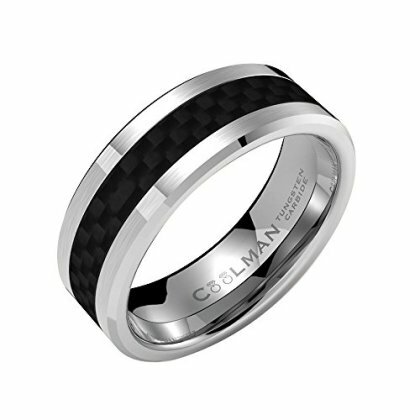 Unique Design---8mm High Polished and Matte BrushedTungsten Carbide(Cobalt Free) ring,With Black Carbon Fiber Inlay , Comfort Fit Design! Service---top quality FREE ring gift box valued more than $4.99,which can save your giftwrap service fee and help you store the ring much better. Free Fast Delivery---2 Days delivery for Primer!LIFE TIME WARRANTY!